We first learn to crawl, then walk, then run. With every stage, there is a new level of independence achieved. Now, as adults, we are capable individuals, having grown accustomed to running on our own. It almost seems contrary to human nature… to revert back to our knees. Yet, this is the position called for in Scriptures. The wisest person is the one who recognizes his correct position before God… the position of humility. We are called to “kneel” before God, to “bow down” before our Maker. Yet, our world (even our Christian world) is full of people who are running, climbing and jumping to get ahead. We forget that our very breath is dependent upon God. 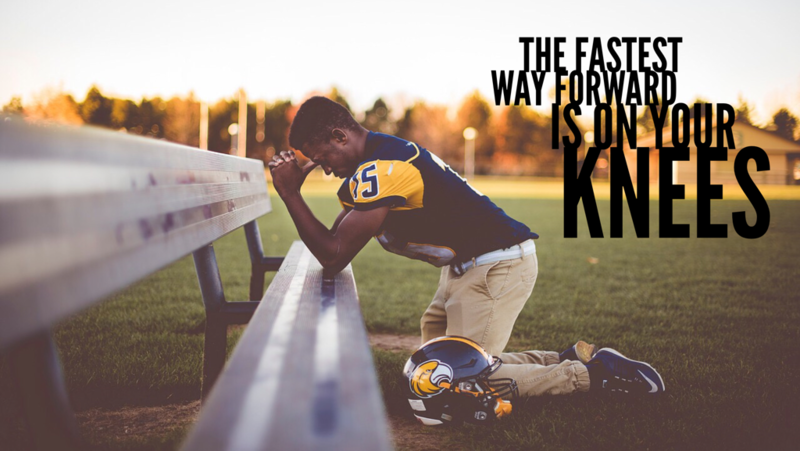 The fastest way forward is on your knees. To the humble one God gives his secrets, his plans and insights. To the humble one God gives victory for battles. The person who correctly understands his position before God is given the joys of intimacy with Father, Son and Holy Spirit. You are invited in Psalm 95 to bow down before God. This is an active, intentional humbling of yourself in front of God. Use your body, mind and emotions to bow before him. Use your mouth to acknowledge your complete dependence on him. Use your body to display your desire and need for his input in your life. The Psalms are full of active imagery for the person who is humbly worshipping the Creator (i.e. sing, clap, kneel, shout, be silent, lift hands, declare, etc.). So, show God through your words and actions that you need him. Learn to crawl again. Go back to your knees. It is the fastest way forward to intimacy with the Father and knowing his calling on your life.